Is your computer working too slowly? To improve its speed, you’ll have to remove the extra files, which are taking up the space of your computer. Executing this operation manually is time-consuming, and you might not access every temporary file that is not required by your computer anymore. 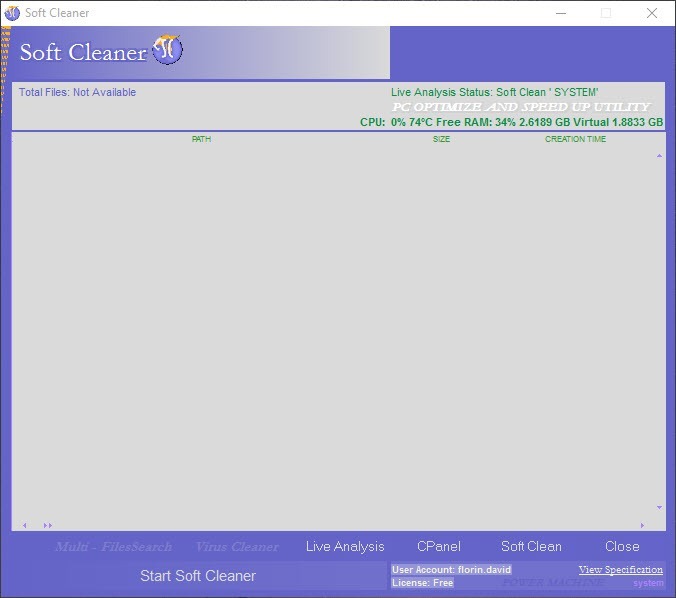 By using Soft Cleaner, you can automate this process. It scans your computer and figures out the files, which are temporary and have been outdated. The interface of this application is a bit different from the other applications that are available for this purpose. That is why you might have to figure out the controls and all the relevant buttons that can help you in performing the scan and removing the extra files. There are limited options provided by this application too, but you cannot change much of the settings because it has been designed to serve the basic purpose for the users. Additionally, the options that are present in the application come with a unique floating menu, which might seem awkward to the first time users. However, it fulfills the basic needs of the users. Soft Cleaner provides you with the facility of scanning your computer for the outdated versions of the temporary files. 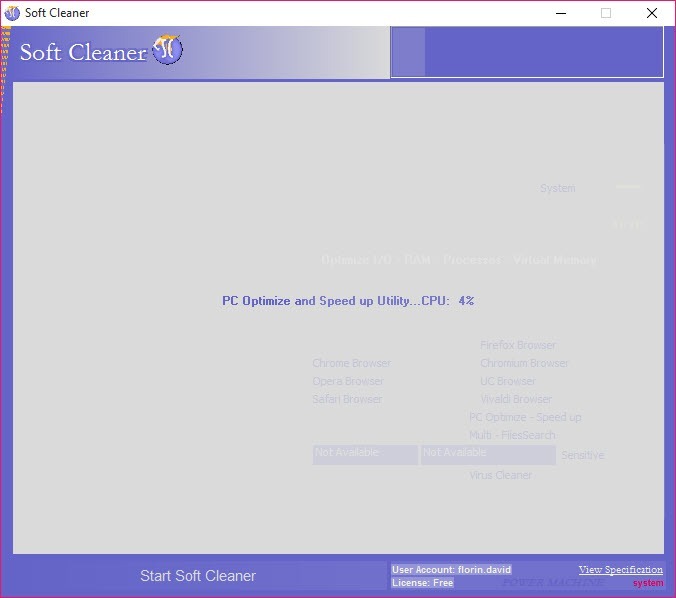 By deleting these unrequired files, you can get a faster-working computer.